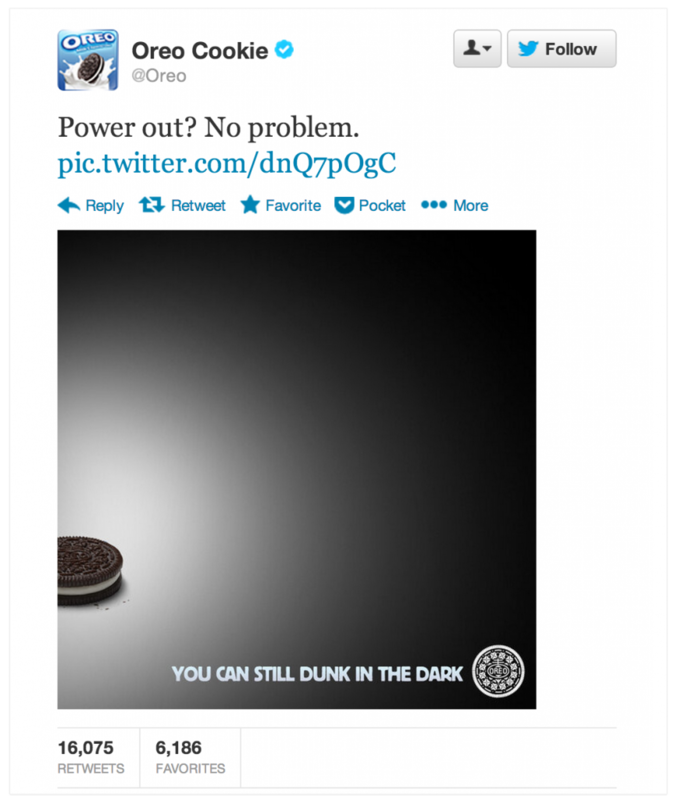 With the Super Bowl only days away, blogs and Twitter are abuzz with best practices and tips to take social real-time. We've all read the Oreo and Mini case studies. We know posts and Tweets have a limited shelf life, moving quickly down our news feed. Social platforms like Twitter and Facebook have always been (and definitely should be) real-time marketing platforms–why not digital display? Why not? Because it's impossible. The IAB recommends 43 days to turnaround a non-rich media campaign (that's a static image or standard Flash ad). 52 days for rich media. Oreo had about 52 minutes. What if they could have extended their reach beyond the walls of Twitter and Facebook and out to the masses? 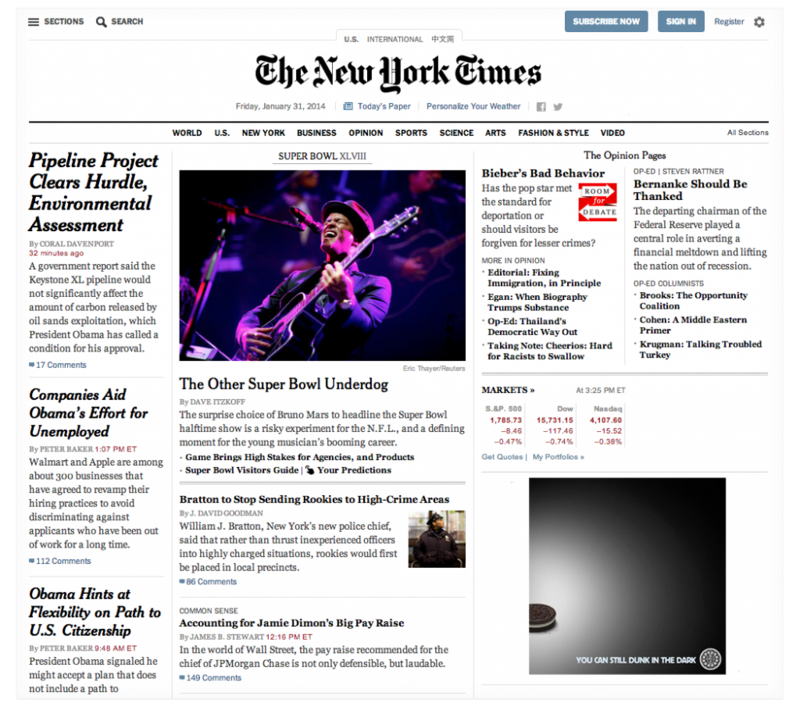 What if they could have done the same thing on the New York Times homepage? If they used Adventive, they could have. Real-time/agile/responsive is not just for social anymore. Get in touch and build, update and traffic digital ads in the time it takes to post to Facebook and Twitter–you've still got a couple days until the Big Game.